It's been a fun week of fall and halloween-y festivities around here already and it's not over yet. My personal favorite part of Halloween? It's passing officially starts the holiday season in our house and it is my self-inflicted rule that the Christmas trees must wait until after Halloween to make their appearance. And there is a date with me and our Christmas decorations blocked on my calendar during naptimes this weekend. Anyway, back to Halloween. The candy and costumes and parties are also pretty great. 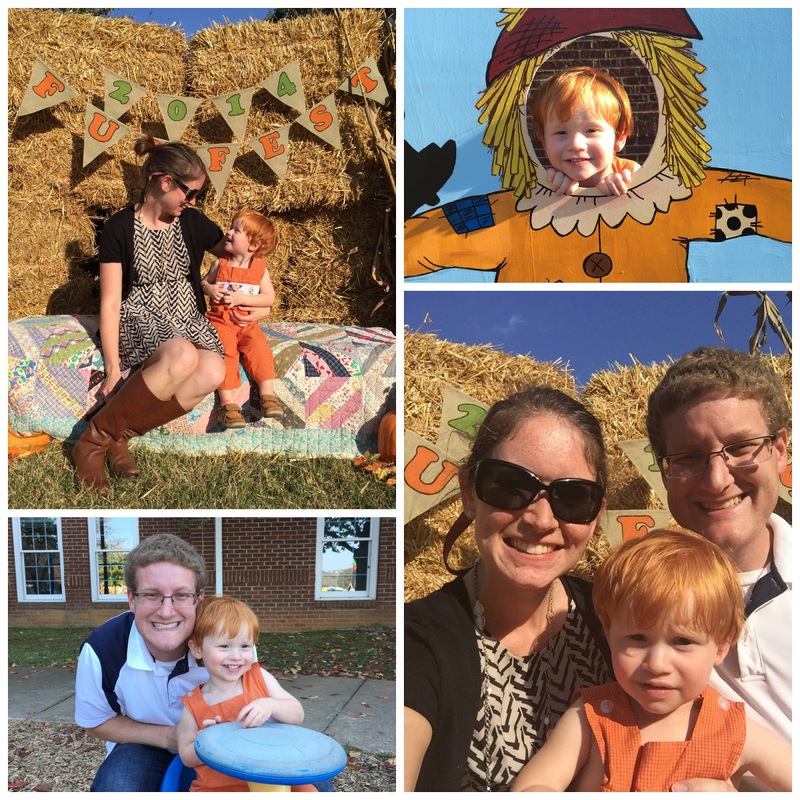 Last Sunday as soon as we got back from Auburn we unpacked the car and headed to Mayfair (Perry's preschool) for their Fall Funfest. It was so much fun. 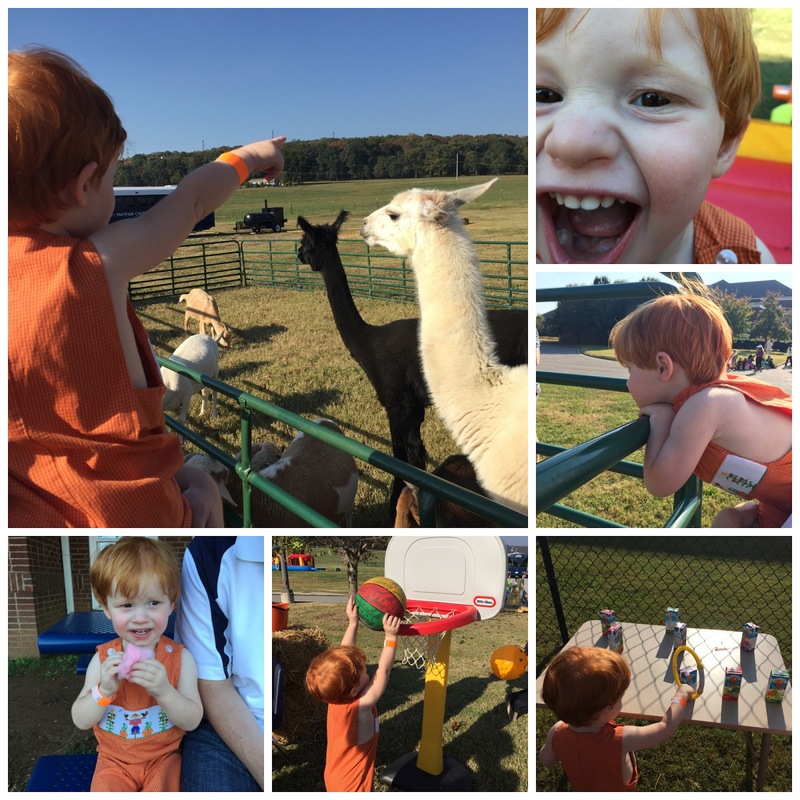 We got to see Perry's teachers and some of his classmates, pet some exotic animals, play games, moon bounce, eat cotton candy and trunk-or-treat. 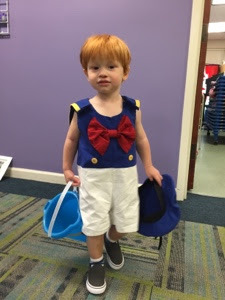 Then on Wednesday, Perry got to dress up in his Donald Duck costume for school because all the kiddos were going to trick-or-treat at the church offices. 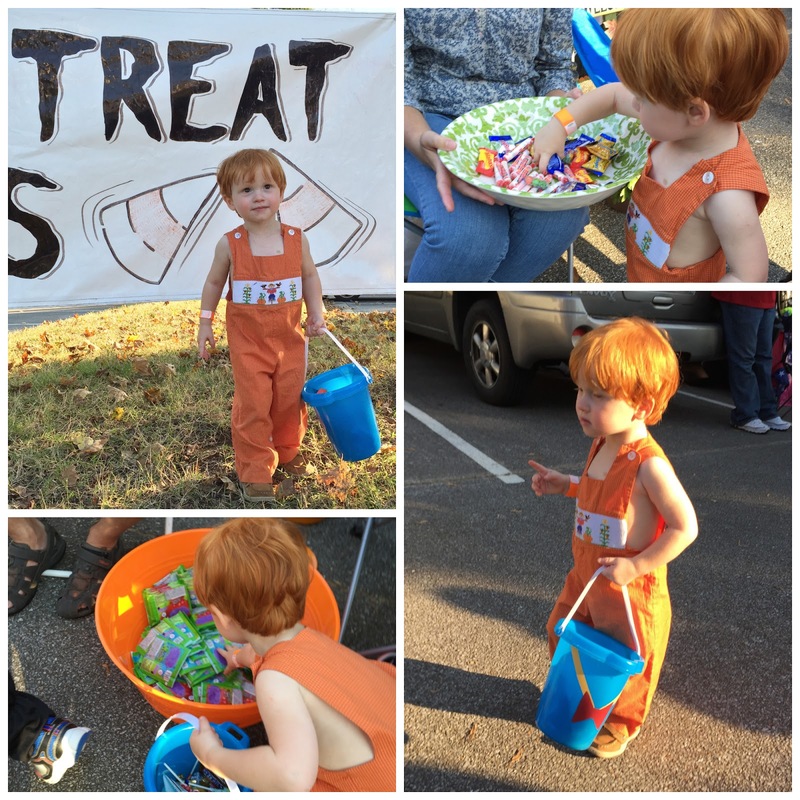 He came home with a bucket full of more candy. Perry was super cute in his Donald shortall. It had to have a little mending by Granna after he pulled off one side of the bowtie in Disney World. But it is good as new. Tonight we are hanging at home instead of hitting the streets for more candy. Andrew has got to work so it will be P and me, and the Caudles and Garretts are coming over to have dinner and yummy halloween snacks and pass out candy to neighborhood kids. We are taking bets on how many little girls dressed as Elsa we will see. It will be a fun night. If you want to see our cute little Donald Duck in person (and get some candy) come trick or treat at our house!